Kanwal Rekhi is a Venture capitalist Angel investor and entrepreneur, currently serving as the managing director at Inventus Capital Partners. Kanwal Rekhi is an Indian-American businessman. He was borned during British-India in 1945 at Rawalpindi (now in Pakistan), after partition they settled in Kanpur, India. Venture Capitalist Angel investor and Entrepreneur. Currently he is serving as M.D. at Inventus Capital Partners. He is credited as the first Indo-American Founder & CEO to take a venture-backed company public on the NASDAQ. He graduated in 1967 as an Electrical Engineer from (IIT) Indian Institute of Technology Bombay (now Mumbai). He acquired his Master of Science degree from Michigan Technological University. Further he earned his honorary doctorates in both Business and Engineering from the Michigan Technological University. Mr. Kanwal is experienced working in many position such as engineer, systems analyst, and manager before venturing in business. In 1982, heco-founded Excelan in San Jose, California at the age of 36 & was named as president in 1985. The company went public in 1987 and merged with Novell in in 1989. Kanwal served as an Executive Vice-President and the Chief Technology Officer of Novell until 1995. 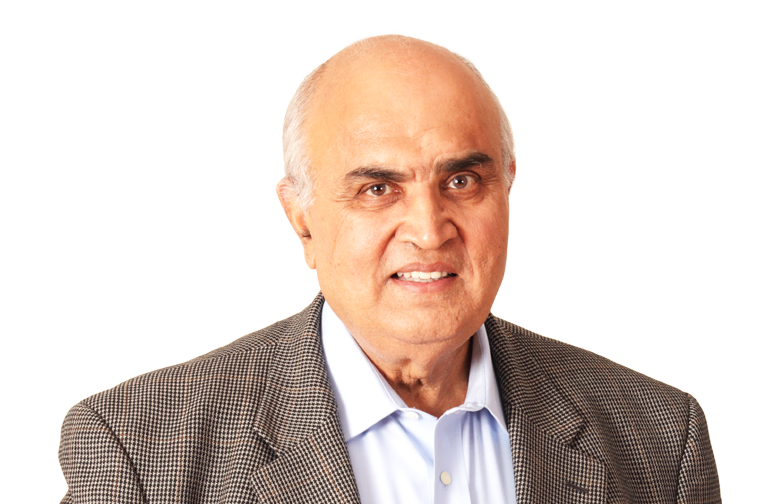 Kanwal Rekhi co-founded TiE in 1995 The Indus Entrepreneurs, a nonprofit support network to provide advice, contacts, and funding Indian owned startups in Silicon Valley and then spread to other countries including India. He donated $3Million to IIT Mumbai to setup a new School of Information Technology which is now named after him: KReSIT – Kanwal Rekhi School of Information Technology. He also contributed contributed $5 million to Michigan Tech in 2000 to increase the profile of educational institutions in India. Amit is senior vice president and software engineer at Google Inc.
Amitabh Kumar Singhal was borned in Born in Jhansi, a city in the state of Uttar Pradesh, India on Sept, 1968. He is senior vice president and software engineer at Google Inc. He is the head of Google’s core ranking team. He completed his Bachelor of Engineering degree in computer science from IIT Roorkee in 1989. He then continued his computer science education in the United States, and received an M.S. degree from University of Minnesota Duluth in 1991. Amit continued his studies at Cornell University in Ithaca, New York and received a Ph.D. degree in 1996. As he completed his Ph.D, he joined AT&T Labs , where he continued his research in information retrieval, speech retrieval and other related fields. His friend Krishna Bharat persuaded him to join Google in the year 2000. At Google he use to work in Google’s core search quality department. Google search algorithms are the result of Amit & his team. According to New York Times, Mr. Singhal is the master of what Google calls its “ranking algorithm” — the formulas that decide which Web pages best answer each user’s question. In 2011 he was inducted as a Fellow of the Association for Computing Machinery. Fortune named Amit Singhal one of the smartest people in tech. In 2011, Amit Singhal was given the Outstanding Achievement in Science and Technology Award at The Asian Awards. Sujay jaswa is the CFO of Dropbox. He is the CFO of Dropbox. Before that he also served as Vice President, Business at Dropbox. He completed his High school in 1997, from Bellarmine College Preparatory, California, USA. He completed his Bachelors in Economics from Princeton Universtiy. Finally after his bachelors he attended Howard University in the year 2008 to complete his MBA. He worked less than a year as an intern in Selectica. Sujay served as a Management Consultant at McKinsey & Company. Since April 2005 – 2006 he worked as a Director in CinemaNow (Now Best Buy). In Sept 2008 as a Principal he worked at New Enterprise Associates for 2 years & 4 months till December 2010. He was appointed as the VP (Vice President) of Dropbox in 2010. In April 2014, as the new financial year began he was promoted as the CFO (Chief Financial officer) in Dropbox. He is an Indian-American web and technology writer. Om Malik was born in New Delhi on September 29, 1966. He is the founder of and senior writer for GigaOM. He is an Indian-American web & technology writer. Malik completed his graduation from St. Stephens’ College in New Delhi in 1986, with an honors degree in chemistry. Malik moved to New York City in 1993 to be a writer for India Abroad and then for Forbes. He was also a senior writer for Red Herring, focusing on the telecommunications sector, and later became a senior writer there. In late 1994, he launched DesiParty.com, an events site for Indian emigrants. In 1995 he helped launch the now-defunct magazine, Masala, and its website Masala.com, a South Asian portal. In 1997, Malik was on the original team at Forbes.com led by David Churbuck. He then left Forbes in the year 1999. In 2000, he moved to San Francisco, California to write for Business 2.0 magazine. In 2001, he started GigaOM, a Web 2.0 blog published by GigaOmniMedia, Inc. in San Francisco. The website has a monthly global audience of 500,000, is among the top 50 blogs worldwide by Technorati Rank, and is part of CNet’s 100 Most Influential Blogs. His first book, Broadbandits: Inside the $750 Billion Telecom Heist, was released on May 15, 2003. Malik’s writings have also appeared in newspapers and magazines such as The Wall Street Journal, Brandweek, and Crain’s New York Business. Malik announced on June 12, 2006, that he was going to work on GigaOM full-time, although he is still a contributing editor and writes a column for Business 2.0. In addition to GigaOM, he also writes for the blogs Web Worker Daily and Tablatronic. He is vice president of the PC Client Group and general manager of the Mobile Client Platform Division at Intel Corporation. Navin Shenoy is associated with Intel since 1995. Shenoy graduated from the University of Michigan with a bachelor’s degree in electrical engineering. He attended the Stanford Executive Program. Navin Shenoy joined Intel in the year 1995. At first he served different roles in sales & marketing department including: regional solutions manager for Southeast Asia, a Singapore-based role in which he was responsible for end-user, ISV and service provider relationships and Northern California district manager for Intel Online Services where he worked closely with Google. Shenoy was also the technical assistant to Paul Otellini, Intel’s president and CEO for 3 years. In this role he assisted Otellini in the development and implementation of Intel’s long-term corporate strategy and the daily management of Intel’s global business. Francisco D’Souza is the CEO of Cognizant. Francisco D’Souza was born in Nairobi, Kenya, Africa. on 23 August 1968. His father, Placido D’Souza (born in 1933, ex-Anjuna, Goa), was a diplomat with the Indian Foreign Services. His mother was Sushila. His sisters are Jacinta, Lucia, and Maria. He is the CEO of Cognizant and was part of the team that founded the NASDAQ-100 company in 1994. Francisco is Cognizant’s CEO since January 2007 . Francisco D’Souza is among the youngest Chief Executive Officers in the software services sector. He has been noted for his quick rise to the top of his profession. Francisco D’Souza has more than 20 years of experience in the information technology industry, in both operational and advisory roles. From February 1995 to December 1995, D’Souza was employed as Product Manager at Pilot Software a company funded by Keyur Patel of Fuse Global. At Cognizant, which he joined in its early days, D’Souza was elected Chief Operating Officer (COO) in December 2003. Prior to that, from November 1999 to December 2003, he served as Senior Vice President (SVP), North American Operations and Business Development. From March 1998 to November 1999, he served as Vice President (VP), North American Operations and Business Development and as Director-North American Operations and Business Development from June 1997 to March 1998. From January 1996 to June 1997, D’Souza was engaged as a consultant. Effective January 1, 2007, D’Souza was appointed President and Chief Executive Officer and a member of theBoard of Directors of Cognizant. In February 2013, D’Souza was appointed as independent director on the board of General Electric. 2013 – Recognized as the Best CEO in the Multinational Company category by Forbes India magazine as part of its 2013 Leadership Awards.